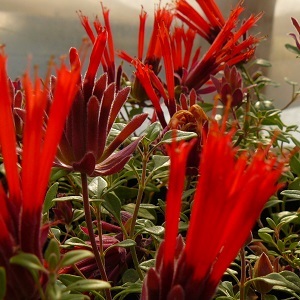 Clusters of brilliant red tubular flowers over mats of shiny, green leaves. Great for rock gardens or containers. Likes well-drained soil.